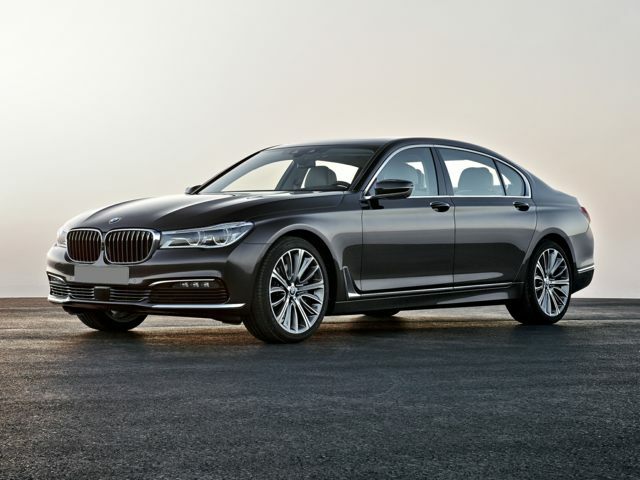 Test Drive the Luxurious BMW 7 Series in Charleston, SC Today! While browsing for the new BMW 7 Series stop at Rick Hendrick BMW of Charleston, SC for your automotive needs. We have a select inventory of 7 Series luxury sedans such as the 740i, 740e, 750i, and M760i. You can also request an order for the exclusive ALPINA B7. The BMW 7 Series has an athletic yet stylish aesthetic. With staggering horsepower and generous torque the BMW 7 Series is a force to be reckoned with. Even with this stellar performance the 7 Series has a humble fuel consumption which will be worth its weight in gold. Come test drive the 7 Series for yourself in our BMW dealership location in Charleston, SC. There's a BMW 7 Series model for every driver, whether you're looking for a more spacious sedan, a diesel engine, 4 wheel drive, or more horsepower. With the 740i, 740e, 750i, M760i, and ALPINA B7 there is a luxury 7 Series to match every desire. As is expected from a BMW, you will find all of the luxury amenities inside like heated seats and mirrors, keyless entry, and premium sound systems. You can personalize the interior fabric and detailing to your liking, and choose all the features you love like sun roofs, satellite radio, and remote trunk release. If you're in the market for a 740i, 740e, 750i, M760i, or ALPINA B7 near North Charleston, Mount Pleasant, or Summerville, Rick Hendrick BMW has a large selection of these vehicles available at our Charleston dealership. If there is a particular model that we don't currently have please let us know, and we'll make sure to find it quickly and conveniently for you. Let us get you behind the wheel of a BMW 7 Series today! Fill out the form below then visit our dealership, conveniently located at 1518 Savannah Hwy in Charleston, for a test drive.